The recipe is to be found here, on John’s beautiful blog, The Lost World of Drfugawe. I am only posting the weight of the ingredients in grams, so that I don’t have to figure it out again next time I bake these little rolls. They looked very appealing and they were quite tasty. 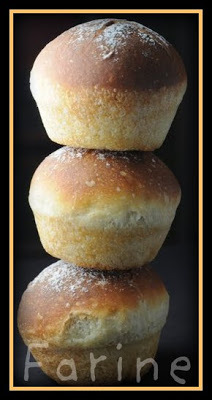 Next time I’ll try to bake them free-form instead of using muffin cups… Thanks for the recipe, John! Thanks for the honor of your attribution, and for trying Feather Beds – I served them at Thanksgiving dinner, and everybody loved them. Yours are prettier than mine! Thanks for this post. I went back and looked at your post about the banana feather breads and had to try them. @John, the Feather Beds were a hit here too. I could have made twice as many! 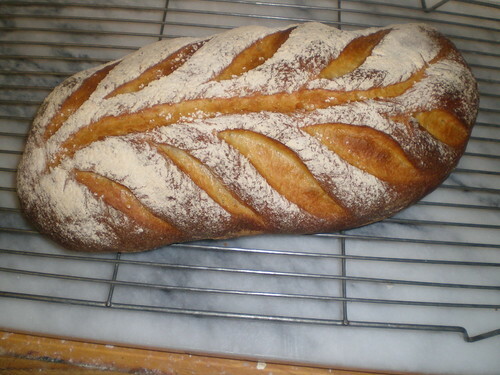 @JanKnitz, your bread is gorgeous! 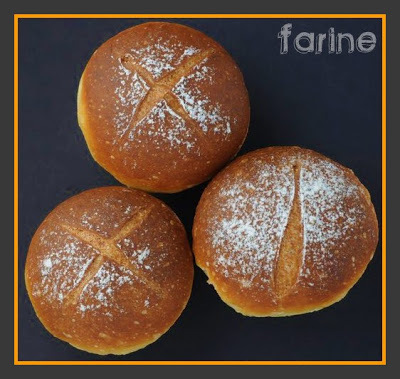 May I post the picture on Farine?